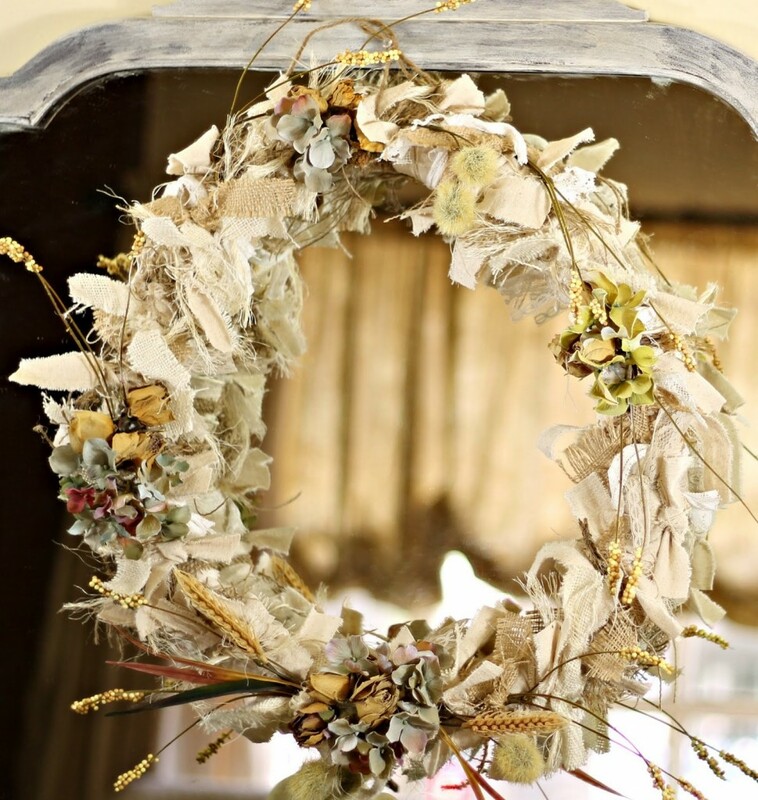 Thank you all for inspiring us with so many awesome wreaths last week. It seems we had every type of material: burlap, mesh, pine cones, ribbons, flowers, gems, pumpkins, spiders and skeletons. You name it, we saw it. Love love love your creativity! 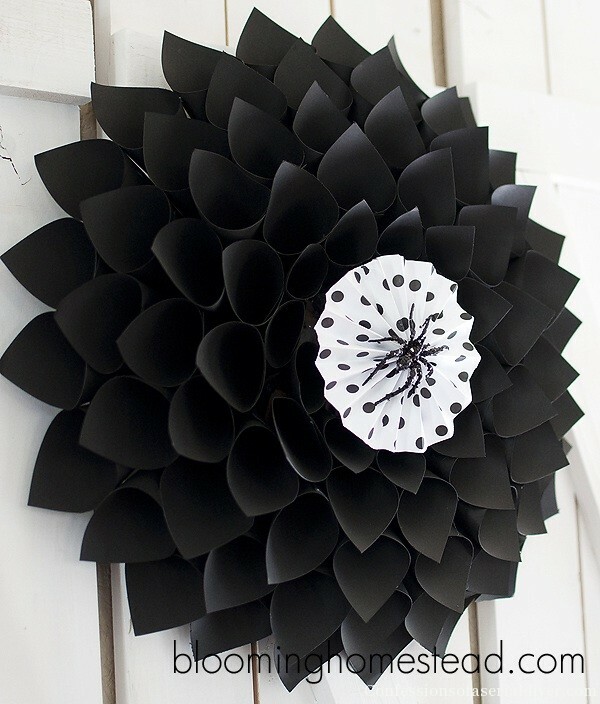 First up is this super cute halloween wreath shared by Marie at Blooming Homestead. She even shows you how easy it is to make! I just love it! 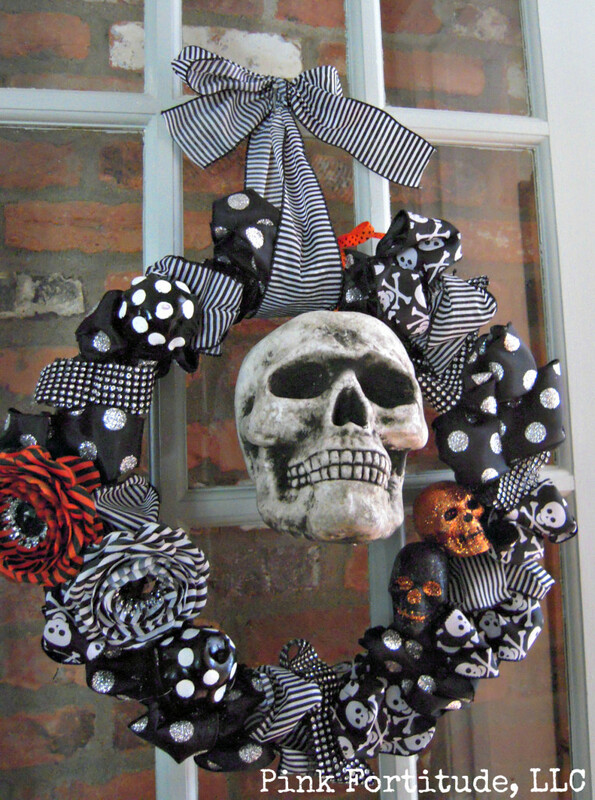 This next halloween wreath, shared by Holly at Coconut Head Survival Guide, would fit in perfectly at my house. Absolutely spooktacular! Ah ha ha (That’s supposed to be a spooky laugh.) She provides excellent instructions as well! Finally, I am loving this very romantic fall wreath by Karen at Shabby Sweet Cottage. The fabric strips and hydrangea give it a very vintage, romantic feel. I would hang this in my house all year long. In fact, I might just have to make one! 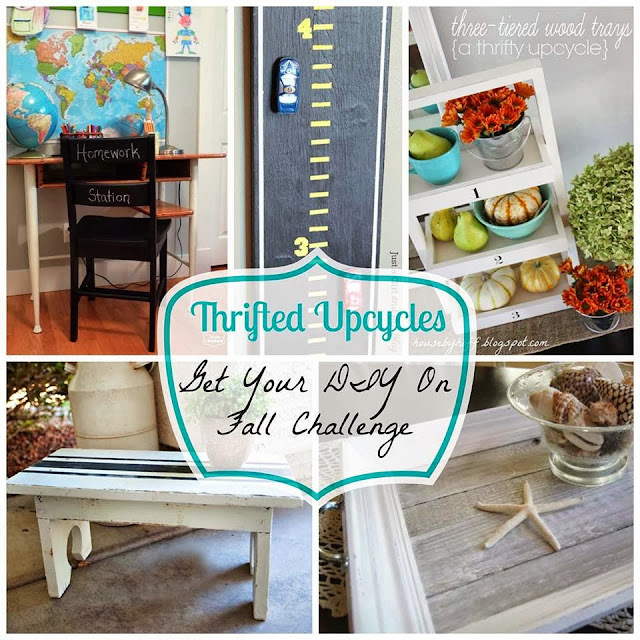 Now on to Week 3- This week’s theme is the Thirfty Upcycle. Share with us any project you have given a makeover to for less than $20.00. Let’s take a look at what me and my co-hosts upcycled this week. It’s amazing what you can transform with very little money. All you need is a few supplies and some awesome creativity! 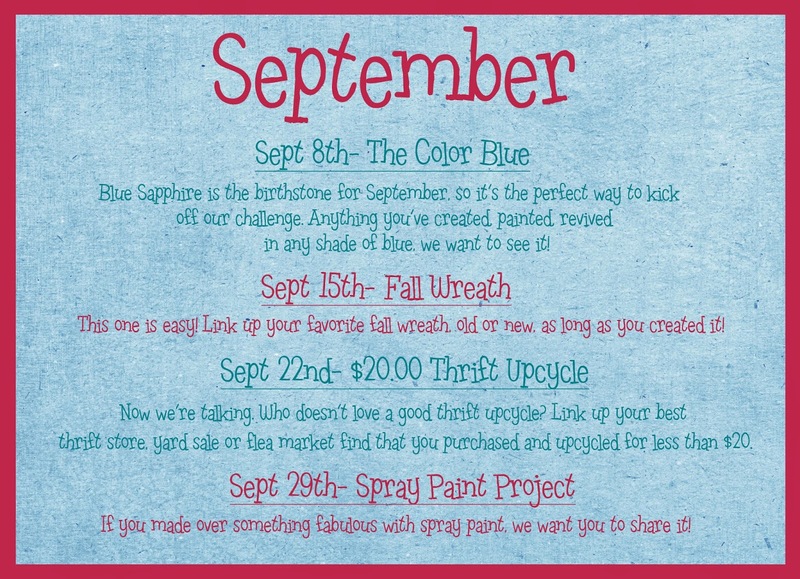 So after this week, we only have one more theme left in September, Spray Paint Projects! Here is a recap of September’s themes. Just to get you prepared for the next four themes, here is the schedule for October. 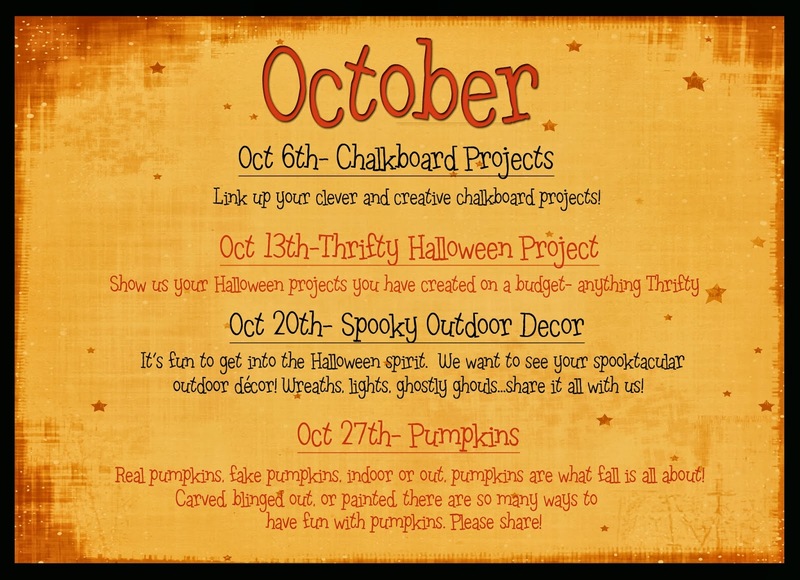 Get your spooky creativity ready to go!! It’s gonna be fun! 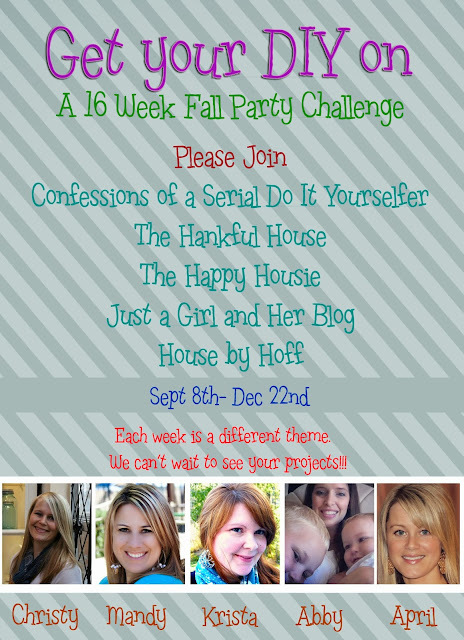 * Remember: Each week has a theme, please only link up each week’s scheduled themes! Thanks so much for the feature. The other featured wreaths are really great. I’m in good company. Love all of your featured picks….gotta go pay them a visit!